← Westport To Mother Nature: You Win! In the mid-1930s, WPA photographers fanned out around Westport. They shot 133 houses — all, at that point, at least 100 years old. Eighty years later, the Westport Historical Society is preparing an exhibit, documenting preservation and changes to those even-older-now homes. House historian Bob Weingarten found over 90 of the photos in the WHS archives. He’s now curating the exhibit. But a lot changes in 8 decades. Some of the houses have gone to that great scrap heap in the sky. Others remain — but have been so altered, they’re unrecognizable. Twelve of the photos have not yet been identified. Bob hopes “06880” can help. Each Wednesday, we’ll post a photo of one of the unidentified houses. Click “Comments” to let us know where you think it is. If you’ve got a back story, add that too. The more info, the better. We’ll start next week. In the meantime, here’s a “practice” house. Then check out “06880” next Wednesday, for our 1st truly “lost” house. This entry was posted in Looking back, Organizations, People, Places and tagged Bob Weingarten, Westport Historical Society. Bookmark the permalink. Two guesses: 57 Kings Highway North or the Cross Highway home that was almost torn down a couple years ago. Great idea by WHS, can’t wait for this exhibit! Thinking that same Cross Highway house or another thought on North Avenue used to be a farm…..
Martha Stewart’s “project house” on Long Lots Road? Baker Avenue near its intersection with Imperial. Hiilspoint, just north of the school. Number is about 82 or so. Is this the house on Cross Hwy that there was so much controversy over??? Dan: Thanks for doing this. I love WPA photography. If possible could you list the photographer? I will check. I’m not sure the photographers are listed. By the way, so far no one has come close to identifying the house! Is it Scott and Zelda’s? I gathering that this was a guest house when the WPA photographer came along. Except for the setting, it sure looks the Levi Downs House – which is now Tavern on Main. Was that building moved? Have them do one a day? We’re doing one a week. And everyone gets a free subscription to “06880” — unless you want to chip in a donation! Thank you for this great article –and a second serie of guessing games–for bob’s show. It’s a great community outreach for building exhibitions!! On Riverside Ave., near what was Bedford Jr. High, or perhaps up a side street a bit, nearer to Kings Highway Elementary?? 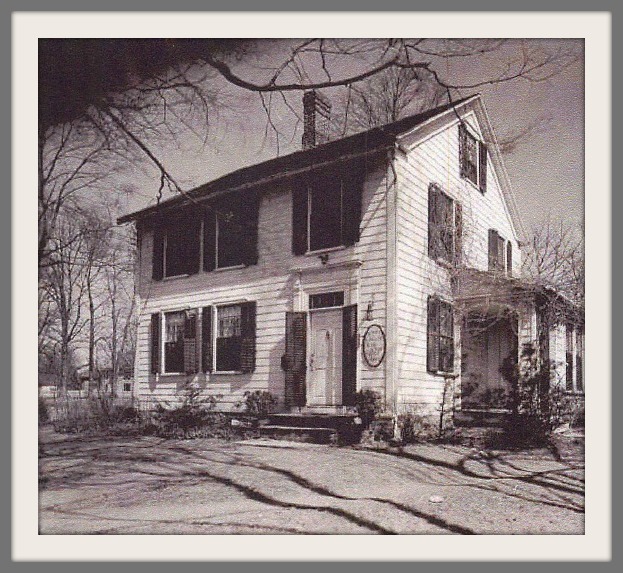 The McLaury House—Myrtle Ave at corner of Avery Place? So many different guesses! I’m guessing it’s in Westport! So do I win a prize yet? Is that a sign to the right of the front door? And can it be read on the original image? “Morehouse” at beginning of Woodside. This is where Tavern on Main is located. It was formerly a school house. It was also the home of illustrators Robert and Marie Lawson who lived in Westport. All credit to my wife if this is correct. I agree with Morley Boyd – Levi Downs house. I’ve seen all the Westport WPA photos. They’re fantastic. I think I may have also seen this house represented in more graphic form in the old Westport Directories (but I’m guessing on this). It may have been in the form of an advertisement because the sign by the front door looks familiar. I’m thinking it was a curiosity shop or had something to do with fabrics. Darn – can’t remember. Love this idea, especially for the houses that are not labelled (most of the WPA photos ARE labelled). There may be someone out there whose grandma lived in one of them. It would be great to get them identified. Wilton Road, across from Partrick Road ? I’m with Dan Aron. It is the original building that is today Tavern on Main. To follow up on my comment yesterday, the oval sign says, I think, something to the effect that guest rooms are available for rent. If the structure is, as I suspect, the Levi Downs House (Tavern on Main), it must have been moved a bit and/or set atop a new rubble foundation as the grade and setting seem completely different. In the 1920’s and 30’s buildings in the downtown area shuffled about with some regularity (Spotted Horse, Red Cross, Avery medical building, Christ and Holy Trinity parsonage (now up on Compo North, I think), the (lost) house on Gorham Island, the houses in the back of Colonial Green, etc.). What couldn’t be moved in whole was deconstructed and used in new construction (houses on Violet Lane).